Our Blue small slider Ultralight medical id sports band is great for kids and young adults and are perfect for everyday wear. They are made of nylon webbing and adjustable with a plastic center release buckle. 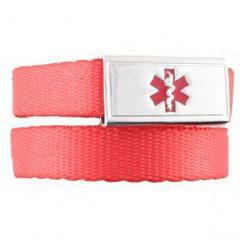 Even though this band is classified as a children’s medical bracelet, it can also fit up to a size 7" wrist. Excess length may be cut and melted with a heat source to keep the webbing from fraying. 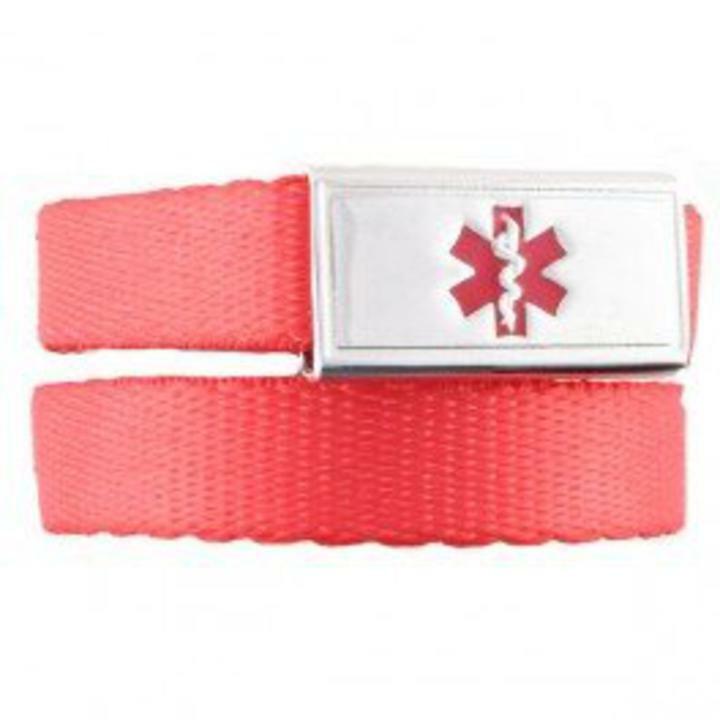 The medical id slider tag is stainless steel, measures 1"x 1/2" and the medical alert symbol is available in different colors. The band measures 1/2" x 7". Engraving is on back only.